Although their effectiveness is waning, antibiotics remain a front-line defense against many infections. However, new science reveals using the wrong antibiotic for an infection could makes things much worse. It is common knowledge that overuse of antibiotics has led to the growth of drug-resistant bacteria. According to the Centers for Disease Control and Prevention (CDC), approximately 30% of prescriptions written each year, in emergency departments and your doctor's office, are medically unnecessary. That means that one in three people being prescribed antibiotics probably do not need them. But these new findings relate to more than just overused antibiotics. A research team from the Biosciences department at the University of Exeter in the UK found that using the wrong antibiotics can make already-resistant bacteria stronger—and more deadly. This study involved Escherichia coli, a bacteria that normally, and harmlessly, resides in your gut. When outbreaks occur through poor food handling, lack of hand washing, or production contamination, E. coli can turn into a killer. Although E. coli victims usually survive, the infection can be fatal to the young, older, or immune-compromised. To evaluate the habits of bacteria populations under attack, the researchers used E. coli to observe what happens when you feed antibiotics to a very adaptable bacteria. In this experiment, described in the journal Nature Ecology & Evolution, the researchers trained bacteria to be superbugs. Over a period of four days, the study authors cultured six sets of identical populations of E. coli. The bacteria were treated every 12 hours with high doses of doxycycline, which belongs to the Tetracycline family, a group of broad-spectrum antibiotics that are commonly used to treat a number of infections, including some tick-borne diseases. Using DNA extraction, genetic sequencing, mathematical modeling, and computational tools, the researchers were able to analyze differences in growth and population between bacteria that were treated—and untreated—with antibiotics. After eight antibiotic treatments, the researchers accomplished what they had set out to do—they created a superbug. While they expected to create drug-resistant bacteria, they did not expect their other findings. The bacteria were initially impacted by the antibiotic, but the E. coli strain quickly mutated to survive the antibiotic treatment. The mutation was so effective that the bacterial populations—what would have been a serious bloodstream infection in a human—grew faster and in greater numbers than the E. coli bacteria that were not treated with antibiotics. With bacteria, and any evolving organism, tradeoffs occur when these types of challenges arise. In this study, although the bacteria population grew more quickly once treated with antibiotics, the E. coli traded off a specific protective characteristic, a genetic capability that supports the creation of biofilms. Biofilms are a treacherous feature of drug-resistant bacterial infections. Despite this seeming disadvantage, study researcher Dr. Carlos Reding noted in a press release that "our study used liquid conditions, a bit like the bloodstream, so the E.coli could give up on its biofilm lifestyle in favour of increasing cell production." It is said by some that drug resistance evolution doesn't take place at high dosages but our paper shows that it can and that bacteria can change in ways that would not be beneficial for the treatment of certain types of infection. "Our research suggests there could be added benefits for E. coli bacteria when they evolve resistance to clinical levels of antibiotics," lead author Dr. Robert Beardmore said. 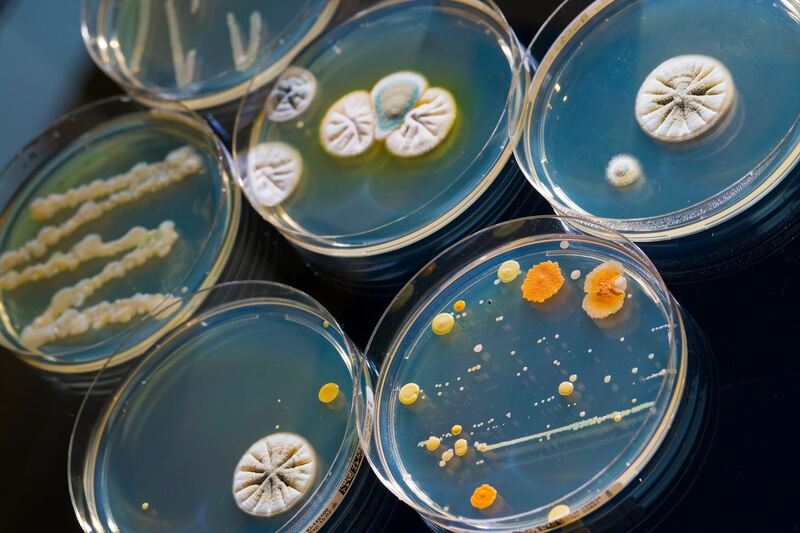 It's often said that Darwinian evolution is slow, but nothing could be further from the truth, particularly when bacteria are exposed to antibiotics. Bacteria have a remarkable ability to rearrange their DNA and this can stop drugs working, sometimes in a matter of days. Conducted in a lab under controlled circumstances, results in the outside world could vary. If you are wondering whether the world needed another antibiotic-resistant strain of E. coli floating around, researchers ensured the bacteria was "safely frozen" at -80ºC (-112ºF) while it was viable. This shows it's important to use the right antibiotic on patients as soon as possible so we don't see adaptations like these in the clinic.